I just found out Carol from the great Reflections from the Fence has been kind enough to pass this award on to me. Thank you, Carol! The rules say I am to list 10 things I have learned about my ancestors that have surprised, humbled or enlightened me and then pass the award on to 10 other genealogy bloggers who I feel are doing their ancestors proud. 1. That my paternal and maternal family trees couldn't be more opposite. My father's family has only been in the US for a short time for the most part and the one branch that was here before the Revolutionary War were Loyalists who went to Canada for over a hundred years before coming back. While in my mother's family you'll find Mayflower passengers and families that came to this country, for the most part, in the 1600s. 2. That my California roots run so deep. All of my maternal lines were in California well before 1900, some even before the Gold Rush. Perhaps that's why I love this crazy, messed up place so much (except in the summer, this place is a real arm-pit from May to September!). 3. That I've got Quakers coming out the wazoo. I've mentioned my frustration over the lack of Revolutionary War Patriots in my family tree before and those pesky Friends are a big reason why! 4. That not ONE family legend has turned out true. There have been quite a few and I wasn't expecting many of them to have much truth in them, but I am surprised that not a one in any branch of my family has turned out to have more than a shred (if that) of truth to it. 5. The courage, strength and perseverance my immigrant ancestors had. I was especially touched when I found out about my great-grandmother who came to this country from Italy with her husband and three small children. They knew absolutely no English (in fact, until the day she died, her grasp of the language was tenuous at best), coming to a strange land, enduring a long uncomfortable voyage and uncertain about their future here and all while she was roughly seven months pregnant. 6. The sacrifices my ancestors made for this country and for future generations. From the war veterans to the farmers who toiled in their fields to the blue-collar everymen just trying to make a living, thank you. 7. The generosity of my relatives who were kind enough to encourage and share their genealogical treasures, knowledge and insights with me. Words cannot even begin to express my appreciation for all they have done and shared with me. 8. In addition to the generosity of my relatives, I am humbled by the generosity of all the librarians, government officials, record keepers, bloggers, volunteers and all-around nice people I've come across who have provided resources, support, information, and records. They aren't in my family tree but I would count myself blessed if they were. 9. Trial and error. And believe me, in all the time I've been doing genealogy, that has been A LOT of trial and error. I think it has made me a more patient person and someone who knows the value in looking at the details. 10. The internet. 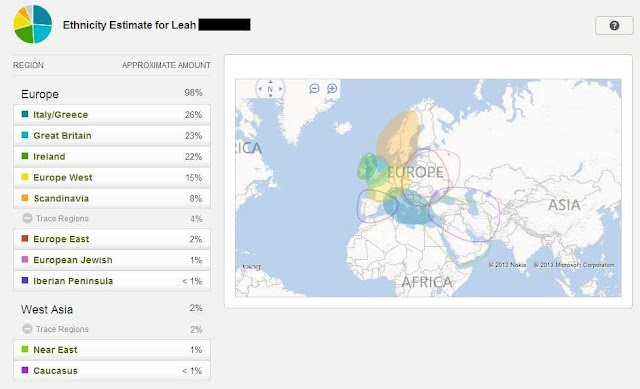 While only about 50% (at best) of the genealogy records I have I've gotten online, the internet has connected me to repositories, people, societies, archives, and many other off-line resources I would not have otherwise known about. I tried not to pass on this award to blogs that had already gotten it, but there are a few who I think will be getting it for a second because of me. I am a fan of each of these blogs, some are new to me while others are long-time favorites. If you don't follow these blogs than you are missing out! Be sure to visit them and add them to your blog reader or hit the "follow" button. If you are the author of one of the blogs above, be sure to grab your award (the graphic) above. Thank you Leah for your kind recognition. It is greatly appreciated. Keep researching! Greetings! 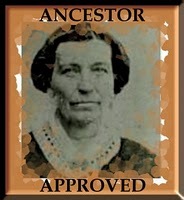 Just an FYI to let you know I referenced your site in my response for ‘Ancestor Approved’ http://bit.ly/cGrIhw Thank you! I hope that post also meets your approval! Looking at your blog, I wonder if we are cousins?! I have Bartlett in Watertown, 1650ish; 3 Clark families in Plymouth, 1650s, Northampton 1670s, England 1600s; Johnson marrying Heath in England, 1613; Miller marrying Burnap, Reading MA; Parsons & Scott in Hartford, 1646; and Shaw in Plymouth: Nicholas1, Nicholas2, Stephen, Ruth who marries Moses Bates. I used to research Dillingham, Swift, & Wing, too, but I've disproven my link to their line. So far, I don't have any direct Mayflower lines, but they are all Great Migration immigrants and clearly mingling with Mayflower folks. Isn't this fun? !